Depending on what you read or who you talk to there is much chatter around what will happen at the end of the Mayan calendar. People are debating at what dates the calendar ends on depending on what stream of belief they are following. I have had quite a few people ask me what should they do? How do they deal with the concept of the possible end of the world? 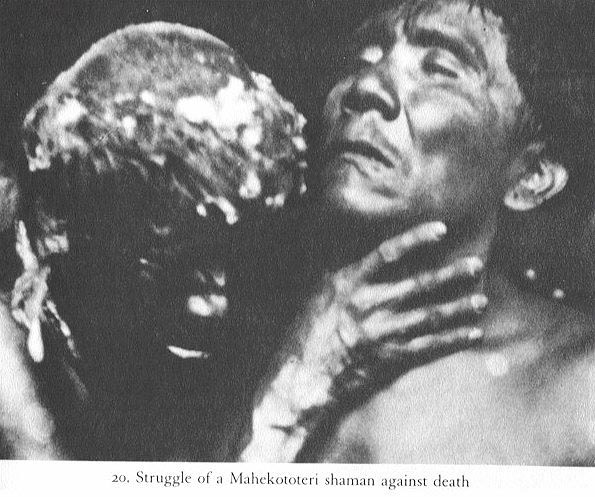 In the shamanic world death is seen as a state of transformation. A letting go of that which does not serve you any longer. When the shaman goes through this initiation there is much ripping apart of the old self to be rebirthed into the more aware self which has embraced all that has gone before and transformed it. This is what is happening on the planet now. The world is in transformation. It is ripping apart and in that ripping much is being brought to the surface to be healed and cleared. 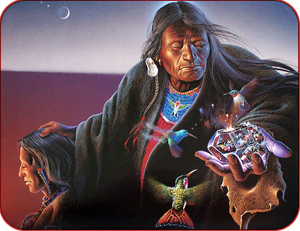 When all is brought into balance the shaman is then able to be of service to the community as a whole. When we are trapped in fear, we are disconnected from the source. So if your watching all the news programs or reading all the details of every horrible event then you are going to absorb the collective negativity at the same time. Either watch it with this concept of awareness or simply ‘change the channel’ both on the TV/Radio and in your mind. That doesn’t mean that you close the door and deny all that is taking place, not at all. Keep your eyes open, just do it with awareness of the bigger picture. 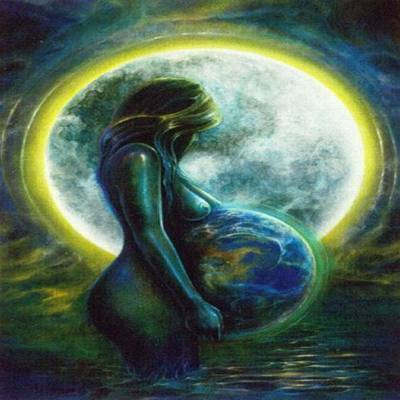 Embrace, let go and transform all of the violence, the corruption and the darkness within you and then when you watch the world transforming you will see it as a journey to balance for all rather than pure destruction. 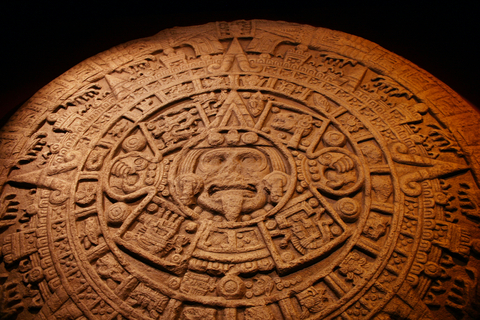 Today Oct 28 is one of the end dates of the Mayan calendar and said to be more definite than other dates in 2012. I see it as an opportunity to ‘begin’ to let go of the old program of fear and conditioning that no longer is needed. What belief systems have you picked up that do not serve you anymore? What old fears would you be happier living without? Find some time, slow down your breath, lie back on the earth and give your old programs of dysfunction to the mother earth. She is the great transformer of all things; she is formidable and incredibly strong and will transform all that needs to be shifted. The illusion of man to think that he can control nature is proven false when we look at the great natural disasters in history and in recent times. She will survive and transform our impact; there is no doubt about it. It’s important to remember that we all chose to be here in the body at this time in history. No one is here for nothing and no one brought you dragging and screaming to this life. You chose to be here. Each of us is an impo rtant part of the transformation to a more aware planet so ask yourself in what way are you being of service to the planet. Is your service beyond ideas and concepts? Are you walking your talk? Is it the end of the world, as we know it? I feel it’s the end of the way of the battle between dark and light, the end of dualism. This may take quite some time as when people are fearful they hold very tight to their beliefs and in holding tight they are fighting the natural transformational journey that is part of growth. If you fight the change within, the transformation within you, you will find yourself in the depth of depression and for many losing yourself in the realm of multi-dimensional madness. We are in the Age of Aquarius where the key is to work as a whole community not separate towns battling against each or stealing their horses to be the head warlord (Corporation). We can see the seeds of transformation taking place by the protests in regard to Wall St and secrets being brought to the surface in all areas of power. The institute of religion also needs to be dissolved and transformed. The secrets of the imbalances coming out of these institutions are the ripping apart of the way that no longer serves humanity or the individual. I am not arguing people choice to believe in a higher power or archetype that represents that, but religion is behind so many imbalances in the world. Those that hold the power in the name of religion (the three main monotheist religions, Christian, Muslims, Jews and nowadays a few more could join that elite rich group) could feed all the children of the world if they gave up their treasures, but they hold tight to the old masculine ways and unfortunately the old ways seem to have leaks that ooze poison. E.g. child abuse, children dying from Aids because contraception is frowned on, clerics who misinterpret writings to their own end, cultures not forgiving others for the past hurts but inflicting the same kind on others from other faiths. The traditional religions have ‘Negative Lies’ that many (who have never been to church) have absorbed through the collective consciousness. These are beliefs that many still hold close and when you scratch the surface of most people’s issues, these statements often appear. So its time to get rid of the negative lies we have been told or absorbed so we can move with the natural feminine flow of the transformation. 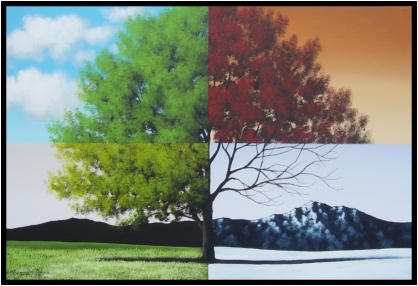 Like nature we need to move with the seasons. The tree grows from a seed to grow and transform into its blossoming state, soon it moves to the time when it leaves change and then let’s go of its leaves so it can be rebirthed and offer new shoots again in the spring. If we follow the natural laws then everything we are witnessing is part of the natural transformation of life and the planet that we live on. Some things will indeed have to die, some will move into parallel dimensions and some will simply move and adapt with the changes. I have had many little deaths in my life and each one has taught me the power in transforming fear into insight. Each time has left me with more knowledge and more awareness than the last. It’s not death that’s the problem, it’s the attitude towards it that matters. The Shamans death can be very confronting, but the transformation brings you into a state of wholeness and the journey is just as important as the destination. Don’t get caught up in the dream of the destination. Face the transformation with all your heart, ground your spirit and connect with the source. You are safe, no matter what transforms, just get out of your own way and receive the medicine.